The Strongest Water Gallon Jug! Perfect for travel, gym, work, or outdoor events! 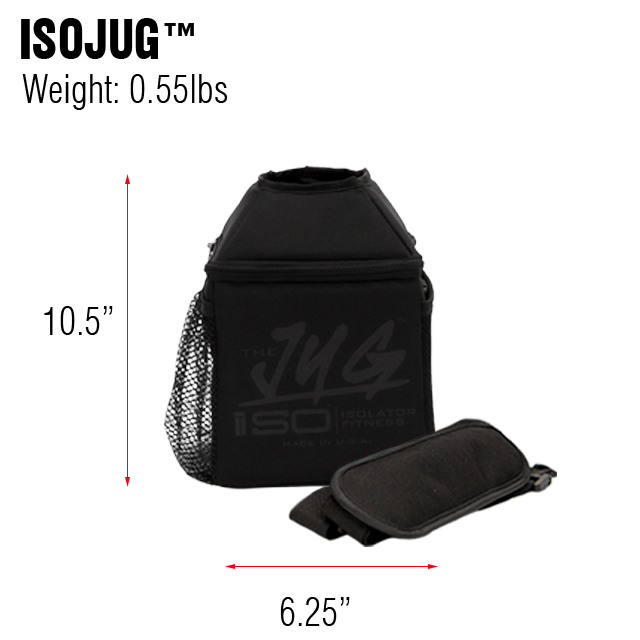 The ISOJUG™ has top-notch features! Mesh side pockets are great for storing personal items. *It is HIGHLY recommended that you leave the cap OFF when freezing the liquid in the gallon, a side effect of being BPA-FREE is that the ISOGALLON™ loses flexibility when it gets below a certain temperature and the expanding liquids can cause it to crack. We have an ISO product for any goal and every lifestyle! Copyright mealprepbags.com 2019 All rights reserved.